One of the biggest hits of 2014 was the fabulous Disney movie Maleficent staring Angelina Jolie it is now available on Blu-ray and DVD. The Maleficent movie would make a great gift for the Holidays. Right now the price is just $19.99 v $36.99 for the Blu-ray and $14.96 for the DVD. 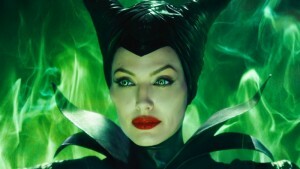 This version of Maleficent is very different from the classic Sleeping Beauty we all know from the Walt Disney movie. It certainly gives a very different perspective on the Maleficent character, played magnificently by Angelina Jolie. I admit I had to watch it twice to completely appreciate the story but this is a Disney classic which will endure. How old should your child be before watching Maleficent? Of course it depends upon the individual child but I would say that the under 6 crowd aren’t really going to get the story and possibly be a bit bored by it. Do you agree? The Maleficent movie will be released on November 4th. You can Pre Order Maleficent here . Retro Kitchen Gloves just $11 Shipped!